Artificial intelligence is a hot topic right now—but whether or not it is going live up to what some are calling the new healthcare reform is still up for discussion. 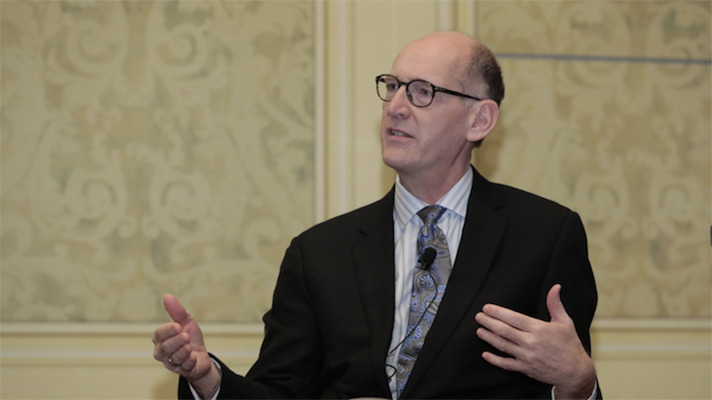 Mayo Clinic Chief Information officer Christopher Ross and PricewaterhouseCooper Managing Director James Golden, tackled questions about the future of AI at HIMSS18. “In some ways [AI] could not be more hyped than it is. There is an enormous expectation for this stuff,” Golden said. AI is already proving to be helpful in studies. The pair cited a research study out of Stanford where researchers worked with Google DeepMind to identify cancerous spots in medical images. AI has already been implemented in a number of different ways in healthcare. Golden outline three main areas of use: clinical decision support, clinical trials and hospital operations. Although AI is not yet diagnosing in a clinical setting, it can be used to help support clinical decisions through evaluating medical imaging, genomics and looking at population health trends. In fact, the use of AI to sift through and make sense of hospital and research data has been a popular topic of discussion. However, Ross said that even though this data might be available, it is important to have some curation of the data from experts as well. While AI can be used for complex problems, at the Mayo Clinic it is used for everyday solutions as well. “The questions is where are we on the road,” Golden asked about the future use of AI. In fact, Ross said that when the Mayo Clinic did a review of their AI use he expected to see a handful of applications. But when the numbers came in there were around 130 AI projects at the clinic so far, and most of them were being used for a smaller project to help aid clinicians in their day to day activity and not what Ross called large “moon shot” initiatives. Ross said it isn’t about replacing humans but about helping physician get through basic work and help guide patients through their journey. As for the future of AI both Ross and Golden said that it is still very early on in its development. But Ross said that he is looking to some of the larger tech companies to be on the edge of the innovation curve. “It’s clear big global leaders are going to develop the infrastructure from where this springs,” Ross said.